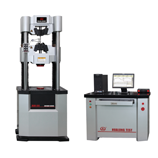 Established on May 8th, 1993, is a leading specialist manufacturer and supplier in China. We have implemented a complete administration and supervision system from the top down. 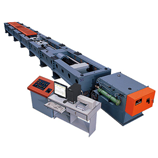 Every process is controlled according to ISO9001. All the marketing department, science research department, manufacture department and after-service department make every effort to provide the best quality products and the perfect services to our clients. 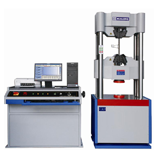 HUALONG WAW series (Dual space) Servo-hydraulic Universal Testing Machine is ideal for high-capacity tension, compression, bend/flex, and shear testing. 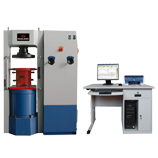 HUALONG WEW series (Dual space) Manual control Hydraulic Universal Testing Machine is ideal for high-capacity tension, compression, bend/flex, and shear testing.